Cut from a heavyweight blended fabric, your kid will find this pant to be very comfortable for casual or athletic tasks. 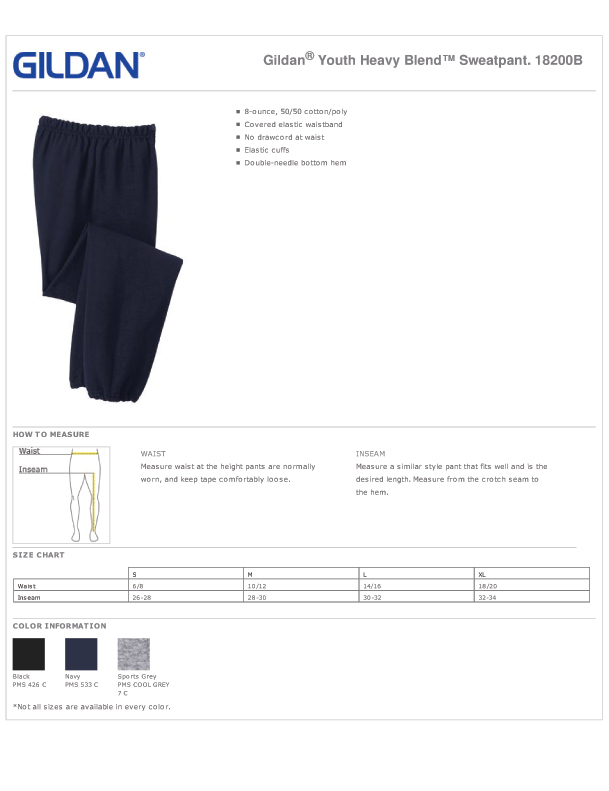 The waistband is covered elastic and the cuffs on this youth sweatpant are elastic. Find the best fit for your child by using our online size chart. Bulk Pricing.